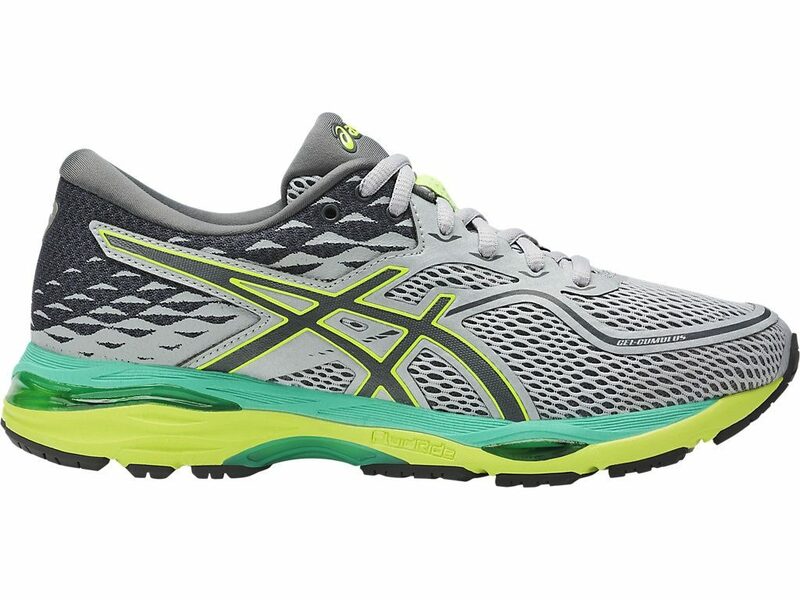 Asics’s marketing pitch: The Cumulus 19 delivers superior comfort and shock dissipation. Midsole: Dual-density EVA foam midsole with plastic shank. Front and rear Gel inserts. 10 mm heel offset. 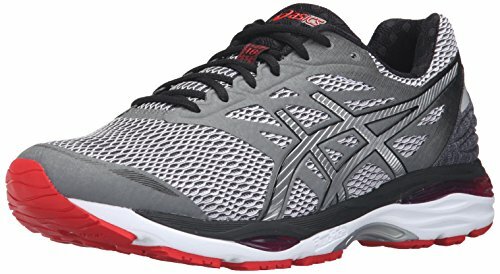 Asics’s mid-priced neutral trainer is adequately cushioned for the long and easy runs, featuring the same sole unit as the 18. The upper toe-box still fits shallow. The Cumulus 19 is the Japanese brand’s ‘budget Nimbus.’ Like the latter, it is a cushioned neutral trainer but minus many of the bells and whistles which the more expensive Nimbus comes boxed with. At an MSRP of $120, the Cumulus 19 competes with the likes of the Brooks Ghost 10, the Nike Pegasus 34, the Saucony Ride 10, and many others – all mid-priced neutrals which occupy a similar price band. For many years, the Asics Cumulus dutifully delivered what it was supposed to. The midsole packed ample cushioning, making it one of the many shoes suitable for long runs and general workouts of a relaxed nature. The upper, while not super-plush, seldom gave any reason for complaint. The otherwise good-natured Cumulus changed last year. Misguided by some strange market trend, the Cumulus 18 squashed the toe-box shallow, making the new version a marked departure from the well-proportioned interiors of the Cumulus 16 and 17. Do things change for 2017? Sadly, no. The Cumulus 19 not only features a shallow toe-box, but also uses a more flimsy looking upper. 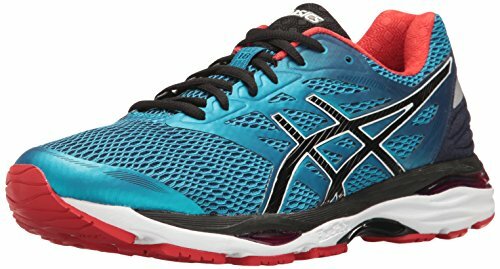 And in what’s now an emerging trend (for Asics), the Cumulus 19 uses a midsole and outsole stack which is identical to the outgoing version. In the past, each successive update introduced a brand-new midsole and outsole along with a refreshed upper. 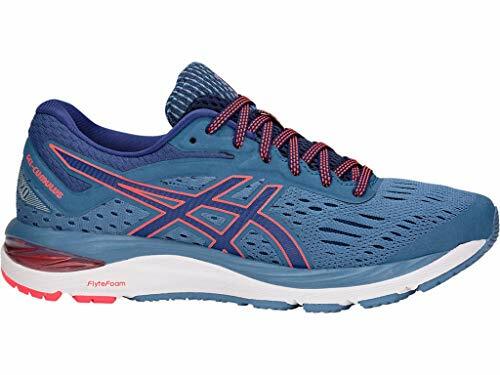 But the last couple of Asics we’ve reviewed – namely the Kayano 24 and now the Cumulus 19 – appear to be indicative of Asics’s new (cost-cutting) direction. There’s nothing wrong with using the same sole design. Nike does this on a regular basis, but then a shoe like the Pegasus undercuts others by $10. 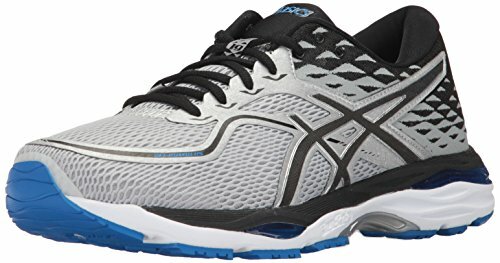 If Asics is reusing parts or molds from a previous version, then the cost benefit should be passed to the end-consumer in the form of a lower MSRP. If the toe-box is still shallow and the sole unit hasn’t changed, does it make sense for an existing Cumulus 18 user to upgrade? Not at all. We’ll save you the trouble of reading the rest of this review and tell you right away that there’s no value in swapping your 18 for the 19. It is a better idea to invest in Cumulus 18 deadstock and save money. And if you can get your paws on the Cumulus 17, nothing like it. To say that the Cumulus 19 has reduced the amount of external overlays would be an understatement. Most of the upholstery is now either spacer mesh or knit fabric, with synthetic leather only providing coverage in select areas. The lacing eyestay has synthetic, which is understandable given that this area needs additional reinforcement. The external toe-bumper seen on the past versions of the Cumulus is absent. Instead, there’s a combination of a micro-bumper near the toe-tip and a band-like strip which runs over the toe-box and forefoot. This doesn’t mean that the front area lacks structure; there is a reinforcement material underneath the mesh. Most of the synthetic layering is on the lateral/outer side of the midfoot. 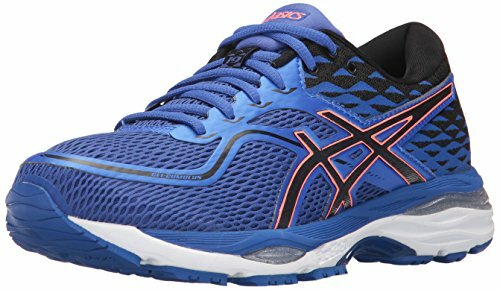 The inner midfoot is missing both the Asics logo and the synthetic panel seen on the previous Cumulus editions. 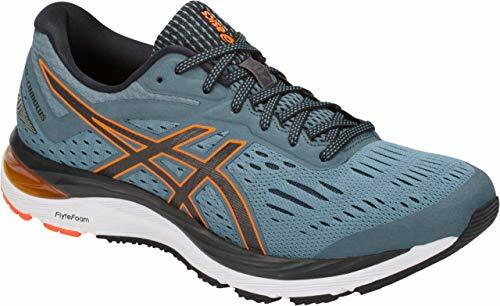 Much like the new trend of carrying over the sole design, the removal of inner midfoot layering seems to be the way ahead, if the Kayano 24 and the Cumulus 19 are to be considered as a yardstick. Let’s be clear – Asics might tout the ‘cleaner’ midfoot as an ‘improvement,’ but it has no benefit on the quality of fit. This change, similar to reusing the sole design, is purely a cost-cutting measure. In the Cumulus 19’s case, the flimsy midfoot area is more a potential drawback than anything else. We’ll devote more screen space on this topic in the durability section. The silver lining, in this case, is the improved ventilation over the Cumulus 18. Most of the external heel area is covered with a knit fabric. This visually cleaner design replaces the synthetic strips, the molding, and the reflective details of the Cumulus 18. Reflectivity is a casualty here, as it gets downsized from a couple of strips to a small logo. The Cumulus 19 gets a new heel collar design. 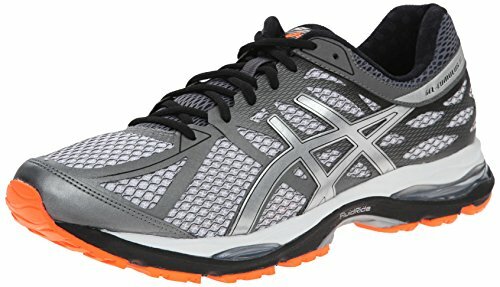 The prominent Achilles dip which was earlier a part of most Asics shoes is replaced by a rounded collar design with a brand new lining fabric. This updates slightly lowers the heel height, but the generously padded collar counters any (potential) negative effect of the lowered height. The tongue does not have a sleeve, and the flap uses a softer fabric – the same as the heel collar. Tongue slides do happen, so if you’re switching from a sleeved shoe such as the Pegasus, mentally prepare yourself for this mild inconvenience. And by the way, the tongue is a bit shorter than the Cumulus 18. The interiors have a smooth feel. Like many modern-day running shoes, the Cumulus 19’s upper relies more on fused layers rather than stitched-on ones. While the insides aren’t completely seamless, there aren’t any irritating bumps either. If you already have the Cumulus 18, you can skip this section because the sole unit hasn’t changed. But many of you might not be familiar with the series, so it’s worth breaking down the finer aspects of the Cumulus 19’s sole unit. 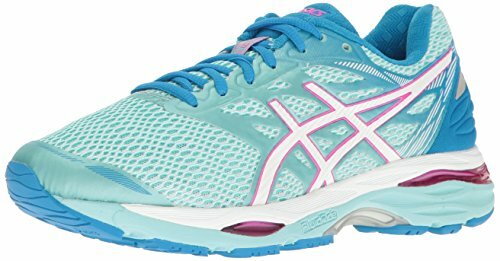 The midsole and outsole are based on the long-continuing Asics design template. This includes a top EVA foam layer, a couple of visible Gel windows, and then finally a larger stack of EVA foam which acts as the main midsole. It’s worth mentioning that while the men’s and women’s Cumulus have the same 10 mm heel -to-toe drop, the women’s Cumulus has a softer upper midsole for increased softness. Mind you; there isn’t much Gel inside the midsole. The forefoot windows are merely decorative, and even the rear has a penny sized unit. Hence, most of the Cumulus’s cushioning comes from the thick foam and not the Gel. This also applies to more expensive Asics models such as the Nimbus, Kayano, and even the Quantum 360. There’s a plastic shank under the midfoot, a feature which is now fast vanishing from the world of athletic footwear. As for the outsole, you get the standard layout of various rubber pieces separated by generous grooves – placed in a sideways and lengthwise orientation. 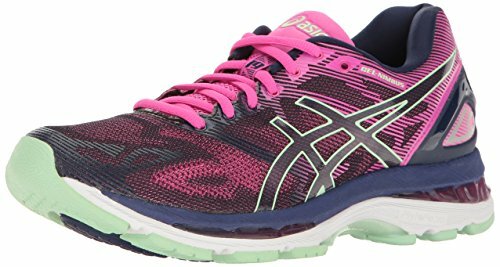 The groove which runs the length of the shoe is what Asics markets as the ‘Guidance line,’ while the other grooves help with flexibility and ride transitions. As for the outsole, the Cumulus uses slabs of soft blown rubber under the forefoot, and the rear is shod with a harder variety. This is designed so because the majority of the running population are rearfoot strikers, so the rear needs to be stronger to withstand the abuse from heel strikes. At the top lies a soft, blown foam insole. There’s another sheet of foam just below it, and both these combine to give you the initial softness which most people experience while trying the shoe at the store. We’re not sure what the next year will bring for the Cumulus 20. Since this is the second year running for the same midsole and outsole, the sole should get an update in 2018. But will the regular foam be replaced by the new Flytefoam? If that happens, the Cumulus 20’s ride is probably going to turn firmer yet more resilient. The wide ‘Guidance Line’ causes the edges of the forefoot rubber slabs to be exposed to a higher rate of wear and tear. This is limited to the initial days, so from a long-term durability perspective, this isn’t something to worry about. The midsole is made of regular EVA foam, so a flattening of ride quality after a few hundred miles should be expected. The changes on the new Cumulus 19 upper are worrying, however. The inner midfoot is missing a lot of protective covering last seen on the Cumulus 18, and the thin mesh is directly in contact with the midsole edge. Based on experience, this kind of design usually ends poorly for the upper. There’s a lot of weight applied by the foot in this area, and the lack of reinforcement could lead to the mesh tearing. These are early days for the Cumulus 19, so we haven’t come across examples of the mesh failing – yet. Nonetheless, this is a red flag from a durability viewpoint. We’ll update this review if we come across instances of premature mesh tear. This construction hems in the big toe; while the sensation isn’t uncomfortable, it makes the limited height of the toe-box noticeable. The Cumulus 19’s toe box design reminds us of the Brooks Ravenna 6 which used a similar band design and produced an identical fit result. You should buy a half size larger than your regular size (or the same size as the Cumulus 18), else there’s going to be a paucity of interior space. The tongue has a lot of padding and offers adequate insulation from lacing cinch. But as the Cumulus 19’s tongue is slightly shorter than the 18, using the heel-lock lacing (the last eyelet) will apply top-down pressure over the foot. Regardless of the updated heel design which appears straighter than the Cumulus 18, there’s no heel slippage. You miss the foam ‘pockets’ of the older heel design, but that’s more of a sensory difference than a functional one. The Cumulus 19 is offered in multiple widths, ranging from D (regular) to a 4E. So if you’re not happy with the snug forefoot, then get a width upsize. The removal of external layering makes the C-19 breathable, more so than the C-18. Nearly all of the Cumulus 19’s cushioning is delivered by the dense foam stack. 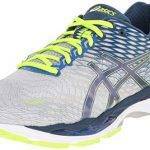 Asics Gel plays but only a minor role in the ride behavior, as most of the Gel is more show than substance. The soft feel underfoot is the result of the Ortholite insole, and the remaining foam layers have a medium-soft quality of cushioning. The Cumulus has never been a mushy shoe, and the same applies to the version 19. Still, running fast in the Cumulus 19 feels somewhat laborious. It’s not just the thick midsole, but the generously articulated outsole which slows down transitions. The outsole lugs mounted on a wide area of exposed foam delivers a cushioning (or ‘piston’) effect, but the trade-off is a somewhat slow quality of transition. The ‘Guidance Line’ demarcates two sides of the forefoot with a wide chasm, so the rubber edges feel lumpy – the same as Cumulus 18. Though this is less pronounced than some of other Asics shoes we’ve reviewed, the abundance of flex grooves proves to be too much of a good thing. There’s nothing remarkable about the Cumulus 19’s ride quality, but there aren’t any glaring faults either. 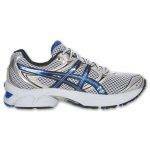 It has enough cushioning for runs up to a marathon, happens to be moderately stable, and the outsole grips well. The midsole works for both heel and forefoot strikers. Even with the 10 mm drop, the forefoot has adequate padding; the blown rubber outsole and the midsole work together to create soft landings or transitions, depending on your footstrike. It is very likely that the next year’s Cumulus will feature a Flytefoam midsole, but for now, the midsole is made of regular EVA foam. So being responsive or bouncy isn’t one of the C-19’s characteristics; the ride feels padded but flat. If the shallow toe box of the Cumulus 19 doesn’t bother you, then the rest of the shoe isn’t bad. The midsole has enough padding without being overly soft, and the upper is breathable. The heel and tongue have a plush fit and feel, and the optional widths make it easier to find a Cumulus which fits you best. Among the list of negatives, there’s the tongue slide, the unresponsive ride quality, the shallow front, and the flimsy upper build – especially over the inner midfoot. Lastly, let’s not forget that the Cumulus 19’s 11.3-ounce weight makes it the heaviest in its class. The Cumulus 19 reuses the Cumulus 18’s midsole and outsole, so there’s no difference in the ride quality. A few changes take place on the upper, but nothing which makes the C-19 significantly different than the 18. The toe area remains shallow, with the overall interior proportions staying very similar to the C-18. The heel area feels softer, and so does the shorter tongue – thanks to the updated lining material which feels smoother than the 18. And the loss of outer covering increases the 19’s breathability. In the rear, the Achilles dip is toned down to a rounded profile, and the outer heel loses the molded details and reflectivity last seen on the C-18. The inner midfoot loses the synthetic panel. Both versions are matched on weight (the Cumulus 18 was 0.2-ounce lighter) and the retail price. At a $40 premium is the Nimbus 19, a neutral trainer which is marketed as an upgrade from the Cumulus 19. Till a couple of years ago, the Nimbus had a softer ride and a plusher upper than the Cumulus. Today, while some parts of the upper – say the heel and the tongue for example – feel softer than the Cumulus, the ride isn’t softer. The Nimbus recently switched to a firmer Flytefoam midsole. The new design makes the N-19 much firmer than the older models, so when compared to the Cumulus, the midsole density feels similar. What is different though, is a more resilient and responsive ride than the Cumulus. This is the result of the Flytefoam layer which the Cumulus 19 does not have – yet. At the lower end of the assortment is the Pursue 3. It’s a bargain Cumulus of sorts, offering a firmer ride with a trimmed down material package. The Pursue 3 doesn’t appear to be widely available, so consider the Roadhawk FF as an alternative. The Roadhawk is a neutral trainer with a 10 mm heel drop and a full-length Flytefoam midsole. Recommending a three-shoe rotation for the Cumulus 19 is relatively easy. The cushioned Cumulus 19 is good for the long and easy runs, so pairing that up with a firmer and lighter Dynaflyte makes perfect sense. The Dynaflyte is great for fast training runs and even races up to a marathon. For shorter races, the Asics Hyperspeed 7 will get the job done. Do not want an Asics shoe overload? Then consider the New Balance 1400V5 as your short-race shoe, and the excellent adidas Boston 6 as a Dynaflyte substitute. There’s plenty of competition in the mid-priced neutral cushioning category, so once you look beyond the Asics assortment, the Cumulus 19 doesn’t seem to offer great value. 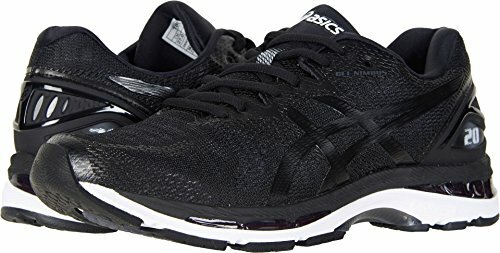 The problem with the Asics Cumulus 19 is that it stands for nothing, and ends up being an ordinary shoe with mediocrity emanating from its 11.3-ounce weight and its shallow fitting upper. For example, if you wanted a combination of a plush upper and a supportive yet cushioned ride, then the identically priced Brooks Ghost 10 is the shoe. Need lots of soft cushioning with an ultra-durable outsole? That’ll be the adidas Supernova, sir. The Nike Pegasus 34 is the lowest priced in this category and offers great value. The ride is cushioned and responsive, and the sleeved upper offers a better fit. The Saucony Ride 10 is also an excellent shoe, its ride offering a touch of Everun responsiveness and smooth transitions. Don’t need a soft ride? The Mizuno Wave Rider 20 delivers a unique, Wave Plate powered ride under a spacious upper. And if you wanted something ‘traditional,’ the New Balance 880V7 is an under-rated performer. And now in its third year, the UnderArmour Speedform Gemini 3’s ride is smooth and cushioned, same as the versions before it. So you see, all other shoes seem to have character in one form or another. And what does the Asics Cumulus 19 have, except that it’s an Asics? Amidst all the running shoe newness, the Cumulus 19 struggles to make a compelling case for itself.